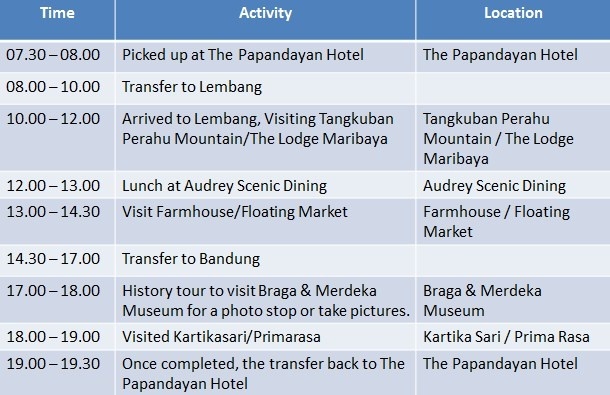 Klik di sini untuk mencari promosi lain dari The Papandayan Hotel Bandung. 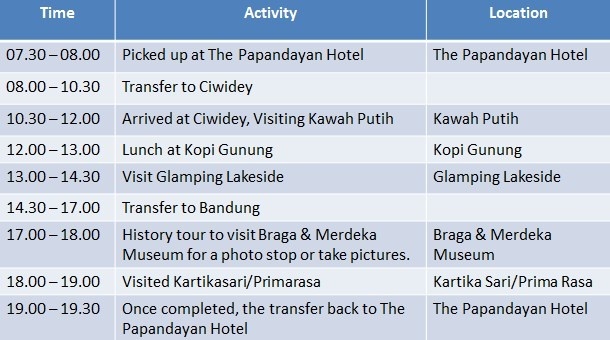 Lunch at Kopi Gunung (Ciwidey) or Audrey Scenic Dining (Lembang)** for 2 (two) persons. History tour to Jalan Braga, Museum Merdeka and souvenirs store. 20% off for Spa & Massage at Edelweiss Spa. Free access to Sauna & Jacuzzi. *Tourist attraction may change at any time or based on Guest’s request.. This offer is based on a minimum stay of 2 nights.